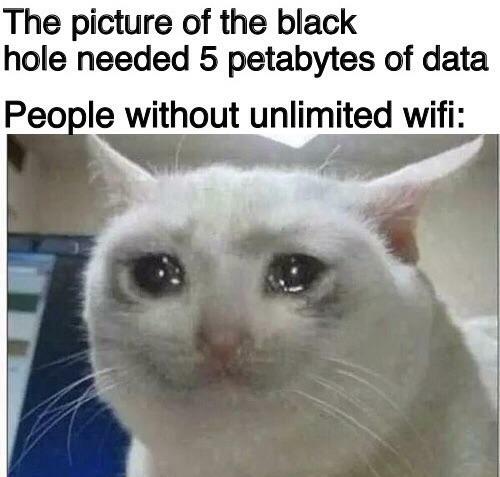 The First Black Hole Image Has Gave Birth To Many Hilarious Memes! 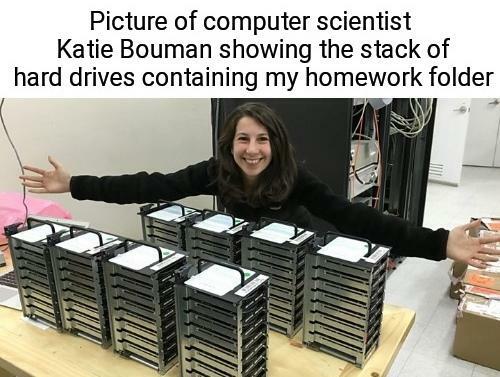 Well, human beings can find memes in every image and it has proven today after the incredible job done by Katie Bauman[she created algorithim for capturing black hole picture]. Well, let's look over the black hole image and remember the day! Well, it’s only five petabytes. Is it equal to my all school and college assignments? I guess it is! People who left their watermark on the meme makes me annoyed! I know you made it. We saw your name on the Reddit. Well, we will do it again or what if someone deletes the algorithm from her computer! The whole world would be like confused Tom! I’m dying at the idea that humanity has come this far to capture an image of an actual black hole just for it to become a meme. It’s 55 million light years away. That’s not its actual age. Sorry for ruining it! Your mama so fat meme? But that’s not the scene when Micheal from the Office said the dialogue! Som boom roasted! My disappointment is incredible and immeasurable and my day is ruined. The type of photos you capture of your friend V/s the photo he captures of yours! 10 Super Funny Stores You Must Visit If You Are A Big Fan Of Laughing!